ISTAT EMEA starts in just two days and time is running out to register. 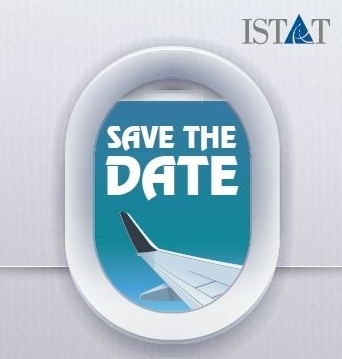 Those already registered to attend are making final preparations before joining their fellow ISTAT members in Prague for countless opportunities to network and create new, lasting business connections while being immersed in the vast education and discussion opportunities available. An estimated 1,500-plus delegates and more than 100 airlines are projected to attend this year's event, which will again feature keynote presentations, panel discussions, networking receptions, private meeting spaces, appraiser education and much more. Click here to register and here for housing options. The ISTAT EMEA mobile app and mobile-friendly site are the best ways to keep up-to-date with event activities. Use the app to contact other delegates (via messaging and to set up in-person meetings), view sponsor and exhibitor details, browse the event schedule, participate in live Q&A during sessions and more. 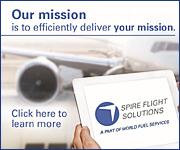 Event delegates can access information at emeaapp.istat.org. Registration is open for the ISTAT Latin America Forum. 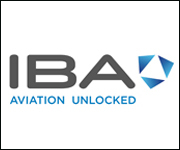 Join colleagues from around the globe on 14-15 November in Lima, Perú, at the JW Marriott Hotel to explore the state of the Latin American aviation market and examine growth potential and challenges in the region. Register soon to receive an early bird discount. Attendees can also register for an optional pre-event walking tour. Click here to register and here for additional event information. And don't miss the special Latin America-themed interview with Viva Air Perú CEO Eduardo Fairen in the autumn issue of Jetrader. In the interview, Fairen discusses numerous topics — including obstacles to industry growth in Latin America — that are highly likely to be discussed during the upcoming Latin America Forum. Be sure to check out the interview to get a glimpse into the unique challenges this region is facing. The ISTAT Foundation's Mid-Year Report provides highlights of another successful year of giving. This year, the ISTAT Foundation Internship Program placed a record 17 aviation-focused university students in positions at ISTAT member companies. Is your company searching for qualified interns? Register your open positions on the ISTAT Foundation Internship Portal today! The ISTAT Foundation’s Internship Program acts as an intermediary between ISTAT member companies and students seeking aviation internships. Through the use of a web portal, qualified students and employers are able to match the right skills, background and interests with corporate internships. Placed interns who qualify will receive a stipend from the Foundation to cover qualified housing and travel expenses of up to $2,500 USD. So far this year, as part of their routine continuing education, ISTAT Certified Appraisers have participated in the Appraiser Updates with the following OEMs: Airbus, ATR, Boeing, CFM, GE and Rolls-Royce. These well-attended sessions are highly valuable to the ISTAT Appraisers’ Program as they allow for a greater dialogue with stakeholders and facilitates a direct pipeline of valuable updates and materials to ensure Certified Appraisers are properly educated on aircraft and engine types and variants. As part of ISTAT EMEA, the ISTAT Appraisers' Program will again offer pre-conference ISTAT Appraising – An Introduction program (formerly Appraising 101) for those interested in the practice of appraising or who would just like to know more about appraisals and what they mean. Plan to attend this event Sunday, 23 September from 15:30 – 17:00 in Rokoska – Mezzanine Level at the Hilton Prague. 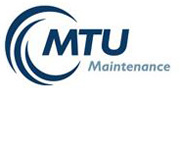 The scheduled presenters are Senior Appraisers David Tokoph of mba and Mark Calver of Aergen. The digital version of the autumn Jetrader is now online, and the issue features two key appraisals. Hardcopies will be available at ISTAT EMEA next week, and members should expect a copy in the mail shortly. 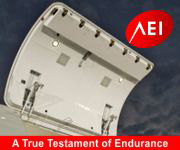 Take some time to read the A220-300 value opinions of ISTAT Certified Appraiser Mark Halsor of AISI here and the views of ISTAT Certified Appraiser Mike Yeoman of IBA on the E190 E2 here. The autumn issue of Jetrader is available and will be arriving in mailboxes shortly. Filled with timely and educational content, this issue's cover story offers a recap of the 2018 Farnborough International Airshow, including: a special look at the ISTAT Chalet Charity Day, as well as an interview with Boeing Capital Corporation President Tim Myers, a look at the evolution of the engine leasing industry and a special Q&A with Viva Air Perú CEO Eduardo Fairen, aircraft appraisals, aviation history and much more. Thank you to our many contributors, advertisers and supporters. Be sure to check out the new issue here. ISTAT media allows you to enjoy direct and targeted access to more than 5,000 C-suite executives, vice presidents, chairmen, partners, principals, presidents, marketing/sales directors and managers within the global aviation community. Contact istat@istat.org for inquiries. 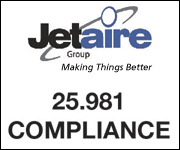 Jetrader is circulated to ISTAT members on a quarterly basis. 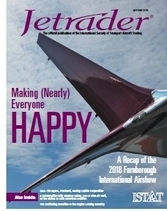 Each issue of Jetrader highlights industry news and case studies and contains feature articles and member spotlights. For FY 2017-2018, Qatar Airways posted a loss of 252.47 million Qatari riyals (Dh254m). For the previous FY, Qatar Airways posted a 2.79 billion ryals profit, and attributed the sharp downturn to an Arab boycott of its country, as well as marked increases in fuel costs and the costs associated with the addition of new destinations. According to Routesonline, the most in-demand route for air traffic is the 450km journey from Gimpo Airport in Seoul to the island of Jeju off the coast of the Korean peninsula, with a reported 3.4 million annual passengers. Based on recent reports from the International Air Transport Association (IATA), annual air passengers in 2017 surpassed the four billion mark for the first time. 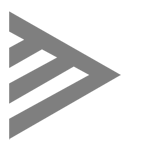 This figure represents a 7.3 percent jump, or 280 million more trips, over 2016.